Before I went away on holiday I was lucky enough to head down to the Paul Mitchell hair event at the Quebec Hotel in Leeds. I pleased to find the Ultimate Color Repair kit in my bag (which also had a lovely gold brush inside). I thought these were the perfect partners for my holiday abroad due to their anti-fade technology. I’ve recently added more blonde to my hair and didn’t want to see it fade because of the sun or sea. I was quite excited to try these because of the added ingredient of Quinoa. I’ve been obsessed with finding recipes that included Quinoa, so why not add it to my beauty regime too? The shampoo uses the high protein content of Quinoa to bond the hair and help it withstand more extreme conditions. It also includes lemon peel and sugar cane to add shine to the hair and make it more manageable which is music to my ears while I’m on holiday. Come to think of it anything that makes doing my hair easier is a god send! The conditioner also includes Quinoa which not only makes the hair stronger but locks in your colour too. 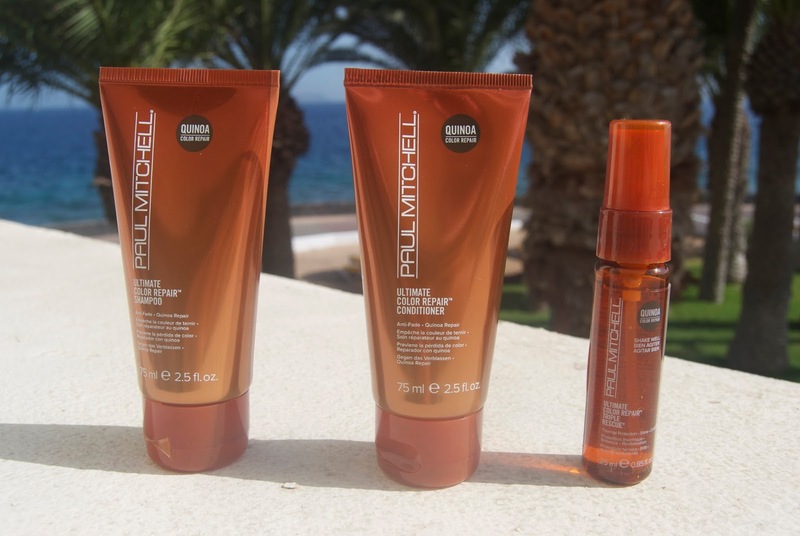 After using these products over the course of the week I discovered that they actually helped to intensify the colour in my hair and has left my blonde sections a lot brighter. The jojoba, shea butter and soybean oil left my hair feeling soft and in a really healthy condition. The antioxidants in this also provide UV protection which prevents further damage to your hair. I finished off my holiday hair care routine with the triple rescue spray. This helps to protect your hair from excessive heat, perfect for those of you out there who can’t skip your blow dry. Again those little Quinoa grains help to keep your hair looking shine and your colour vibrant. Did I mention this whole range smells amazing too? "What I Wore: M&S Jumpsuit"
"What I Wore: Missguided Dress"